Back in February 2018, The Stock Exchange of Hong Kong Limited (the “Exchange”) issued a consultation paper titled “A Listing Regime for Companies from Emerging and Innovative Sectors” (the “Consultation Paper”) to set out proposals to expand the existing listing regime to facilitate the listing of companies from emerging and innovative sectors, subject to appropriate safeguards. On 24 April 2018, the Exchange published the consultation conclusions (the “Consultation Conclusions”) in respect of the Consultation Paper. The overwhelming majority of responses supported the Exchange’s proposal in the Consultation Paper in general. As a result, the listing rules and relevant guidance letters have been amended and introduced as appropriate, and have come into effect on 30 April 2018. A “Biotech Company” refers to a company primarily engaged in the research and development (“R&D”), application and commercialisation of biotech products. In the Consultation Paper, the Exchange proposed to allow the listing of Biotech Companies that do not meet the financial eligibility tests under Chapter 8 of the listing rules (including companies with no revenue or profit). As a result, the Exchange introduced a new Chapter 18A in the listing rules, supplemented with guidance letter titled “Suitability for Listing of Biotech Companies” (“GL”). it must have been previously received meaningful third party investment from at least one sophisticated investor at least six months before the date of the proposed listing (which must remain at IPO).Note: A core product includes biotech product that is required by applicable laws, rules or regulations to be evaluated and approved by a competent authority based on data derived from clinical trials (i.e. on human subjects) before it could be marketed and sold in the market regulated by that competent authority. In response to some respondents’ comments, the Exchange made amendments in the GL to the effect that an applicant must demonstrate some R&D progress of any core product that is in-licensed or acquired. The Exchange will also review any change in ownership of the applicant in the 12 months prior to the date of the listing application in assessing the suitability of the applicant for listing. The Exchange defined a “sophisticated investor” to be an investor that the Exchange considers to be sophisticated by reference to factors such as net asset or assets under management, relevant investment experience and the investor’s knowledge and expertise in the relevant field. Some respondents asked the Exchange to provide more guidance on the meaning of “sophisticated investor” and “meaningful investment”. In response, the Exchange agreed that it should look to the investment experience of the senior management or management team of the investor for the purpose of its assessment of whether an investor is a sophisticated investor. Having said that, the Exchange rejected the notion of “bright line” tests for a sophisticated investor. Likewise, the Exchange rejected the notion of “bright line” tests as to what would constitute a “meaningful investment”. Instead, the Exchange will examine the nature of the investment, the amount invested, the size of the stake taken up and the timing of the investment to determine, on a case by case basis, whether it believes the investment to be “meaningful”. In the GL, the Exchange sets out some examples of sophisticated investor and meaningful investment for illustrative purposes. In the Consultation Paper, the Exchange proposed that the patents mentioned above should be “durable”. Some respondents questioned why the Exchange required a Biotech Company listing applicant to have “durable” patents. They stated that the term “durable” does not have any legal meaning with regards to patents and maintaining the requirement may cause unnecessary uncertainty and confusion. As a result, the Exchange has removed the word “durable” from the requirements in the GL stated above. The applicant must have a minimum expected market capitalisation at the time of listing of HK$1.5 billion. The applicant must have been in operation in its current line of business for at least two financial years prior to listing under substantially the same management. The Exchange stated in the Consultation Conclusions that it would not expect a Biotech Company to include three financial years of audited financial statements in its accountants’ report. The applicant is required to have available working capital to cover at least 125% of the group’s costs for at least the next 12 months (after taking into account the proceeds of the new applicant’s initial listing). These costs must substantially consist of general, administrative and operating costs and R&D costs. R&D costs must be included in the calculation of sufficiency of working capital for Biotech Companies irrespective of whether such costs are capitalised. Some respondents expressed concerns in relation to the restriction in counting shares subscribed by cornerstone investors in determining public float. In response to this, the Exchange decided to provide some flexibility in the listing rule in this regard for companies above the minimum HK$1.5 billion market capitalisation requirement. At HK$1.5 billion, a public float of 25% represents HK$375 million in value of shares held by the public. An applicant should ensure it has at least HK$375 million of public float at the time of listing, which is exclusive of subscriptions by existing shareholders at IPO and subscriptions through cornerstone investments. As long as the applicant is able to meet this requirement, the Exchange stated in the Consultation Conclusions that it accepts that cornerstone investments and subscriptions by existing shareholders could be included in the determination of a Biotech Company’s public float, provided that the existing shareholders or cornerstone investors are not core connected persons or otherwise not recognised by the Exchange to be members of the public. In response to some respondents’ comments, the Exchange agrees that disclosure on measures to retain key personnel and disclosures relating to the capacity of biologics would be important to investors, and have amended the listing rules accordingly. A biotech company is required to provide prominent warning statements, enhanced risk disclosures and ongoing disclosures regarding their R&D activities in its interim and annual reports. WVR means that the voting power attached to a share of a particular class that is greater or superior to the voting power attached to an ordinary share, or other governance right or arrangement disproportionate to the beneficiary’s economic interest in the equity securities of the issuer. The Exchange introduced a new Chapter 8A setting out the qualifications for listing of companies with a WVR structure and the safeguards that they must put in place to protect investors on an ongoing basis. Applicants would be required to establish that they are both eligible and suitable for listing with a WVR structure. The Exchange would consider all circumstances in exercising its discretion to find an applicant suitable to list with a WVR structure, and retain absolute discretion to reject an application for listing with a WVR structure even if the applicant met these requirements. In addition to satisfaction of the relevant criteria under Rule 8.05, the Exchange limits applicants permitted to list with WVR structures to those companies that had an expected market capitalisation at listing of not less than HK$10 billion. If an applicant with a WVR structure had an expected market capitalisation at listing of less than HK$40 billion, the Exchange also requires the applicant to have at least HK$1 billion of revenue in its most recent audited financial year. Only new applicants would be able to list with a WVR structure. After listing, issuers with WVR structures are prohibited from increasing the proportion of WVRs in issue or from issuing any further WVR shares. WVR beneficiaries would have a limited right of pre-emption in the case of a pro rata offering to all shareholders (i.e. a rights issue or open offer) or a pro rata issue of securities by way of scrip dividends, or a stock split (or similar transaction), provided that the proportion of WVRs in issue afterwards were not higher than that in issue immediately before the corporate action. In response to respondents’ comments, the Exchange amended the listing rules such that where a beneficiary of WVR does not take up shares (rights) in a pro rata issue, those shares (rights) not taken up could be transferred to another person provided that the shares (rights) not taken up will not entitle that person to WVR. Issuers with WVR structures are also prohibited from changing the rights attached to WVR shares to increase the WVRs attached to those shares. However, if an issuer wished to change such terms to reduce the WVRs attached to its shares it may do so but must first obtain the prior approval of the Exchange and, if approval is granted, must announce the change. All the beneficiaries of a company’s WVR structure is required to collectively beneficially own a minimum of at least 10% of the underlying economic interest in the applicant’s total issued share capital at the time of listing. In the Consultation Paper, the Exchange proposed to set a maximum threshold at 50%. Subsequently, the Exchange acknowledges that, in the event that an issuer anticipates that it will have significant post-listing funding needs and/or the need to set aside a significant proportion of shares for employee incentivisation, there may be legitimate commercial reasons for allowing a company to list with a WVR beneficiary whose shareholdings, or a number of WVR beneficiaries whose holdings in aggregate, exceed 50% of the underlying economic interest in the issuer at listing so as to enable the WVR beneficiary to retain control of the issuer post-listing. As a result, the Exchange has removed the maximum shareholding restriction at listing. Beneficiaries of WVR would be restricted to those individuals who were directors of the issuer at listing and remain directors afterwards. The WVRs attached to a beneficiary’s shares would lapse permanently under certain circumstances (e.g. if a WVR beneficiary died or ceased to be a director etc). Furthermore, the Exchange would deem a beneficiary of WVRs to no longer meet the requirements of a director if the Exchange believed the person no longer has the character and integrity commensurate with the position (for example, conviction of offence involving fraud and dishonesty, disqualification order). The WVRs attached to a WVR beneficiary’s shares would also lapse permanently if a WVR beneficiary transferred his beneficial interest or economic interest in those shares, or the voting rights attached to them, to another person. In addition, the Exchange would consider an arrangement to hold WVR shares through a limited partnership, trust, private company or other vehicle (for example, for estate and/or tax planning purposes) as acceptable and would not cause the WVRs attached to the beneficiary’s shares to lapse provided that the Exchange was satisfied that such an arrangement did not result in a circumvention of the restriction against the transfer of WVRs to another person. A beneficiary would be permitted to put in place, or make amendments to, such a holding arrangement post-listing as long as the amended arrangements also complied with this requirement. A WVR structure should be attached to a specific class of shares which must be unlisted and the WVRs attached to them must confer to a beneficiary only enhanced voting power on resolutions tabled at the issuer’s general meetings (other than matters required to be decided on a one-share, one-vote basis). The rights attached to WVR shares must be the same in all other respects to those attached to the issuer’s ordinary shares other than with regards to voting rights. The voting power attached to WVR shares should be capped to not more than ten times of the voting power of ordinary shares. A listed issuer’s WVR structure must enable non-WVR shareholders to cast at least 10% of the votes that are eligible to be cast on resolutions at the listed issuer’s general meetings. Non-WVR shareholders holding at least 10% of the voting rights on a one-share one-vote basis (or such lower threshold as required under the laws of incorporation of the issuer) must be able to convene a general meeting and to add resolutions to the meeting agenda. The listing rules set out certain key matters to be decided on a one-share one-vote basis and WVR beneficiaries would not be able to exercise WVRs on these matters, which include changes to the issuer’s constitutional documents and variation of rights attached to any class of shares. The Exchange also clarifies that its intention is to protect non-WVR shareholders from resolutions that amend the constitutional documents of the company being passed by WVR beneficiaries on the basis of their WVRs. It is not the Exchange’s intention to enable non-WVR shareholders to remove or modify an issuer’s WVR structure through a change to its constitutional documents. In response to some concerns expressed by the respondents, the Exchange added a note to the listing rule to clarify the intention and of the rights of shareholders. The Exchange acknowledged that it was not practicable to require extensive disclosure on the front page of all corporate documents as commented by a respondent. Nevertheless, an issuer with a WVR structure must include the warning “a company controlled through weighted voting rights” and describe the WVR structure, the issuer’s rationale for having it and the associated risks for shareholders prominently on the front page of all its listing documents, periodic financial reports, circulars, notifications and announcements required by the listing rules. This warning “a company controlled through weighted voting rights” must also be prominently disclosed on the documents of title for the listed equity securities of an issuer with a WVR structure. In response to some respondents’ comments, the Exchange amended the listing rule to require issuers with WVR structures to establish a Corporate Governance Committee comprised of a majority of independent non-executive directors and chaired by an non-executive director. An issuer with a WVR structure must also engage a compliance adviser on a permanent basis and consult with this adviser on any matters related to its WVR structure, transactions in which the beneficiaries of WVRs in the issuer have an interest and where there is a potential conflict of interest between non-WVR shareholders and beneficiaries of WVRs in the issuer. The WVR safeguards should be incorporated in the issuer’s constitutional documents, thereby allowing a shareholder to take civil actions to enforce provisions in the constitutional documents (including WVR safeguards) against the issuer. WVR beneficiaries should also provide an undertaking to the issuer that they will comply with the relevant WVR safeguards. The undertaking would expressly confer benefit on the issuer and all existing and future shareholders of the company with the intention that such third parties have a legal basis on which to seek to enforce the terms of the undertaking against the WVR beneficiary. The Exchange introduced a new Chapter 19C and make consequential changes to the “Joint Policy Statement Regarding the Listing of Overseas Companies” jointly issued by the SFC and Exchange in September 2013 (“JPS”) to create a new concessionary route to secondary listing for companies from emerging and innovative sectors that are primary listed on a qualifying exchanges (“Qualifying Issuers”), whilst preserving the most important protections for Hong Kong investors. A Qualifying Issuer seeking a secondary listing under the new concessionary route must demonstrate to the Exchange that it is both eligible and suitable for listing. A Qualifying Issuer must also (i) have a good record of compliance for at least two full financial years on a Qualifying Exchange; and (ii) have an expected market capitalisation at the time of secondary listing in Hong Kong of at least HK$10 billion. A secondary listing applicant (i) with a WVR structure; and/or (ii) which is a Greater China Issuer would also be required to have at least HK$1 billion of revenue in its most recent audited financial year if it has an expected market capitalisation at the time of secondary listing in Hong Kong of less than HK$40 billion. Note: A Greater China Issuer refers a Qualifying Issuer with its centre of gravity in Greater China. A non-Greater China Issuer or a Grandfathered Greater China Issuer must demonstrate, to the Exchange’s satisfaction, how the domestic laws, rules and regulations to which it is subject and its constitutional documents, in combination, provide the key shareholder protection standards as set out in JPS. For this purpose, the Exchange may require the issuer to amend its constitutional documents to provide them. Note: A Grandfathered Greater China Issuer refers to a Greater China Issuer primary listed on a Qualifying Exchange on or before 15 December 2017. A Qualifying Issuer must also prominently disclose in its listing documents any provisions in its constitutional documents concerning the issuer’s governance that are unusual compared with normal practices in Hong Kong and specific to the issuer (rather than a consequence of the laws and regulations to which the issuer subject) and how such provisions affect its members’ rights. Qualifying Issuers seeking a secondary listing under the new concessionary route with a WVR structure must be an innovative company and satisfy the market capitalisation requirements set out above. The Exchange reserves the right to reject an applicant for secondary listing on suitability grounds if its WVR structure is an extreme case of non-conformance with governance norms (for example, if the ordinary shares carry no voting rights at all). Non-Greater China Issuers and Grandfathered Greater China Issuers would be eligible to secondary list with their existing WVR structures and would not have to comply with the proposed ongoing WVR safeguards except for those that are disclosure requirements. The implementation of Chapters 8A, 18A and 19C marks the beginning of a new era for companies from emerging and innovative sectors. The new and unique listing requirements to those companies should not be overlooked. 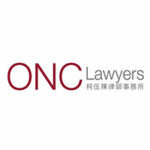 If you are in need of legal advice, you can get a Quick consult with experienced lawyers in Hong Kong. With Quick Consult, you can check out in minutes and for a transparent, flat fee, the lawyers will call you back on the phone within 1-2 days to answer your questions and give you legal advice. This article is written by ONC Lawyers and was first published on their website.